Once again, there were so many wonderful entries for the March challenge - I am still amazed at the number of people using their patterned paper ... please keep doing so ... and spread the word about this challenge blog. Congratulations, Ginny. Please email me at hazelharris@ntlworld.com with your full name and address so that I can post your prize pack of papers. I have so much patterned paper that I have no idea why I keep buying more! Yes, the paper I've used for this month's card is new ... but I bought two packs, so there's one for me and one to give away as the prize for this month. 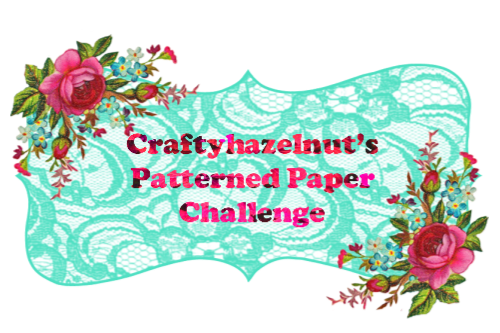 Please scroll down or click here to see the winner of Craftyhazelnut's Patterned Paper February challenge. 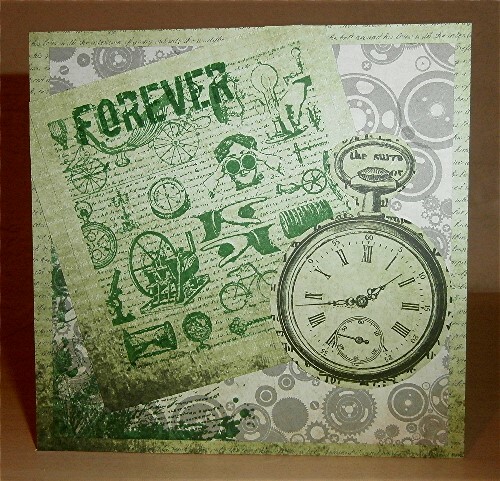 So, for my card I kept to the theme of 'time' using Docrafts Chronology papers, Papermania Urban Stamp Chronology curiosities and two of Sheena Douglass' textures stamps from sets from Crafter's Companion. 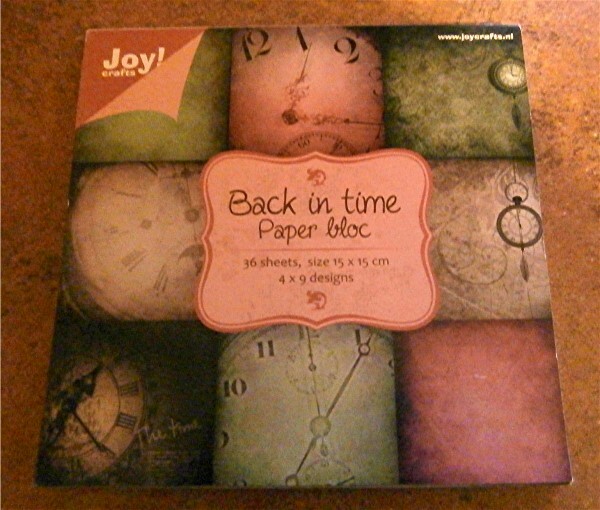 As I almost ran out of time to make anything for this challenge, I thought using these papers and stamps would be good. More details here on My Crafty Outlook. March's challenge will end at 20:00 UK time 31 March. 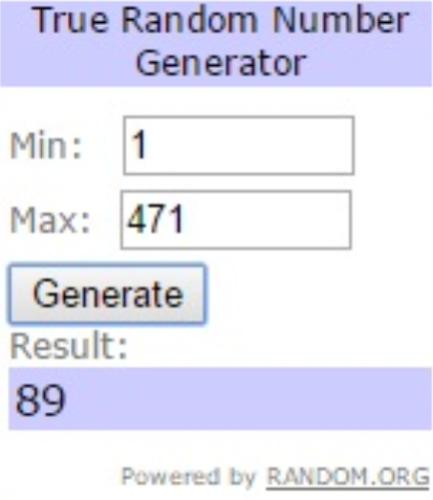 The randomly chosen winner will be announced at 23:00 UK time on 31 March and a new challenge will start at midnight on 1 April 2015.